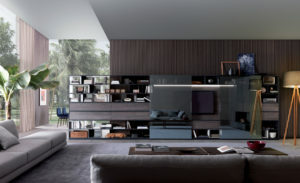 Graceland’s metal structure has a strong personality which contrasts the lightness of the matt lacquered thin top. Also available in the refined Clay finishes. 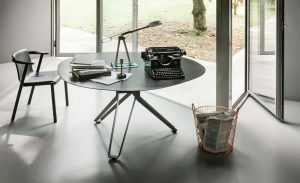 Various styles with vintage touches for Graceland by Christophe Pillet, round table that plays on neat and rational shapes that make it suitable for any kind of home but also for contract spaces.